As 2015 came to a close, the US Copyright Royalty Board (CRB) reviewed its rates for the period 2016-2020. This coincided with the expiration of the Webcaster Settlement Act of 2009; the impact of both events was felt across the industry as smaller broadcasters could no longer pay a blanket fee to cover their royalty payments, whilst larger broadcasters were hit with increased royalty payments. Thousands of radio stations simply stopped broadcasting shortly after January 2016. One of the leading brands, Live365 was also affected by these changes, leading to their downsizing and closing of doors. Well, we have very exciting news for you. Live365 is back! It has been revived and has new owners who are passionate to give small webcasters tools to succeed in the Internet Radio business. Now that Live365 is back, it’s important to note that you can still integrate SAM Broadcaster Pro with Live365. 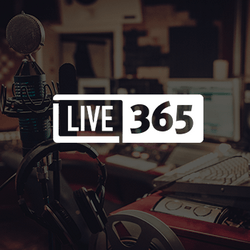 For a limited time only, Live365 has teamed up with Spacial Audio to bring you all the tools you need to build and grow your online radio station. Live365 supports small broadcasters with a streaming package which offers 24/7 high quality streaming. Live365 also enables you to schedule your tracks and automate your station, 24/7. In addition, it offers full licensing coverage in the United States for Sound exchange, ASCAP, BMI, and SESAC for your music. This is a win for small broadcasters who want to make their station legal. SAM Broadcaster Pro is the industry leading broadcast solution, and the number one choice for internet radio broadcasters. SAM Broadcaster Pro allows you to broadcast your radio station live, organise large music libraries, stream in multiple formats and includes website integration. In addition, SAM Broadcaster Pro is loaded with advanced features, such as cross fading, gap killer, volume normalisation, and advanced audio processing. SAM Broadcaster Pro is fully supported by Live365 so you can broadcast your Live365 radio station using SAM Broadcaster Pro. In addition, you have the control and precision you require for your station’s high quality programming while also being streamed and fully licensed by Live365. Configuring SAM Broadcaster Pro to stream to your Live365 service is simple. Below is a step-by-step guide for setting up your SAM Broadcaster Pro encoder to work with Live365. Remember, you need to have both a Live365 account and SAM Broadcaster Pro, so buy SAM Broadcaster Pro and subscribe to Live365 if you do not have both services. Click on the red “Live Stream Details” Tab. Keep the Live365 window open, and then open your SAM Broadcaster Pro. In SAM Broadcaster Pro, locate the “Encoders” window. This is typically located on Desktop B. Press the “plus” button to add a new encoder. Select MP3 (LAME_ENC) from the menu, and press OK.
Next, move on to the “Server Details” tab, and select “IceCast” for the Server Type. Do not select “Live365” as this option currently does not work. Press the “Play” button in the Encoders window to start the encoder, put SAM Broadcaster Pro on air, drop a track into a deck, press play and begin broadcasting. By pushing a stream, you will override any scheduled Events and AutoDJ in the Live365 Broadcaster. Live365 Broadcaster may be used as a fallback, in the event your broadcast computer experiences a problem or goes offline. Please remember: you must send valid metadata for copyrighted content (Artist – Title). Once your encoder is set, you can set up your Statistics Relay in SAM Broadcaster Pro. Spacial and Live365 are working to offer you an exclusive deal for a limited time period to help you start your radio station. Subscribe to Live365 today for only $59 and receive 15% OFF a new SAM Broadcaster Pro license. The offer is only valid for 5 days so hurry and buy today. Click here to redeem the offer!